I am fully occupied this week and the next with training my new helpdesk team, so it took me a bit by surprise when Willy Sudiarto Raharjo tweeted that there was a version 1.0 of Calibre since this morning. Kovid Goyal, developer of Calibre, published the news in a blog post. It’s nearly seven years since Kovid started with Calibre – this was the time when the first E-ink based ereader device, SONY PRS-500, hit the market. At first, Calibre was merely a library which was able to convert e-book formats into Sony’s LRF format. It got ‘upgraded’ with a graphical user interface to manage Kovid’s growing ebook library. There have been 44 increments in the 0.9.x series of Calibre. During that period of development, the program got powered by a new optimized database engine, you can now sub-divide your library into smaller virtual collections, and many improvements have been made to the importing, converting, polishing and exportering of digital book formats (including the .docx file format). I try to maintain an up-to-date version of my custom-built Calibre package (and a fairly successful package it is!). 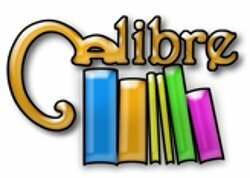 Calibre is invaluable to anyone in the possession of an E-Reader or even just a collection of E-Books. I use it every day – one of Calibre’s many functions is to download my daily (paid) newspaper in EPUB format, so that I can access the newspaper (today’s and all previous days’editions) anywhere I have an internet connection. I realize that the Calibre web site urges you to download the developer’s own distro-agnostic installer – it is the only binary version of Calibre he will support – but to me the calibre.SlackBuild has been a learning experience akin to developing my SlackBuild script for VLC, only this time for a Python-based program. Been lots of fun! Also, a proper Slackware package is a more appropriate way of installing software in Slackware. I hope you give the new Calibre 1.0 package a spin. I made packages available for Slackware releases 13.37, 14.0 and -current. While the Slackware 13.37 package is pretty much self-contained (you only need podofo and icu4c installed additionally), the package for newer Slackware releases is a lot smaller, but has many external dependencies: BeautifulSoup, dnspython, podofo, pycrypto, pysetuptools, python-apsw, python-cssselect, python-cssutils, python-dateutil, python-imaging, python-lxml, python-mechanize, python-netifaces and python-psutil (note: python-apsw is a new dependency since the previous version). All of these packages can be found in my repository as well, of course. Kovid, thanks for this nice piece of software. Posted: 23 August, 2013 in Slackware, Software. New since last week are the Cover Grid (which displays your book library not as a list but as rows of book covers) and most importantly the new SQLite-based database backend. The new backend code is much faster than the old code – startup times of the application for large libraries could be cut to half or even a third. And probably, calibre-1.0 finally has all the features the developers wanted to see in a 1.0 release. 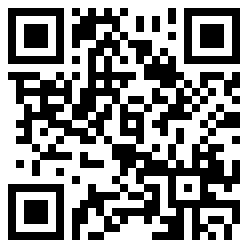 You can check http://calibre-ebook.com/new-in/ten for more information on the new features. Eric, which e-reader do you use now? I bought a Sony PRS-T1 almost two years ago, and still use that. I love it. It has wireless, so I never need a USB cable to download new books – I am using Calibre’s OPDS interface when you enable its webserver. Thank you Eric! Great job with Calibre! Sorry to bother you, but could you help me? Thank you very much! I haven’t figured out what happened, but later I downloaded your build directory and compiled my own calibre package with slackbuild, and it went faultlessly. It is all working now. Maybe some forgotten dependency??? Thank you Eric! You mention you are running Slackware 14, but the SIP error you were getting is an indication that you upgraded your KDE (probably using my packages) and part of that upgrade was the “sip” dependency. The newer sip package causes these ABI incompatibility errors. When you compiled calibre yourself, the binaries you created were linked to the newer sip package which is now installed on your system, therefore you are no longer getting the ABI errors. Thanks Eric. That’s exactly what happened with the sip dep. I use your KDE 4.10.5 package. Everything is running smoothly now. Thank you.